The physical therapy staff at Doctors Hospital of Laredo is dedicated to improving patients' quality of life through programs that promote recovery and increase function. The physical therapy team provides outpatient care at the North Laredo Diagnostic and Therapy Center. To achieve the best results, physical therapists consult with a patient's full medical team, which could include specialists in the areas of neurosciences, orthopedics, gerontology, hematology, oncology and general medicine. 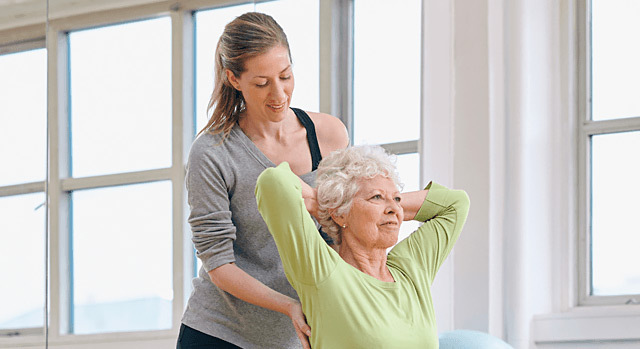 The Department of Physical Therapy provides a range of evaluative, preventative and rehabilitative services to those with physical functioning problems. The staff provides patients with one-to-one education and functional training. Depending on the condition being treated, therapists may use strengthening machines, treadmills, stationary bicycles, upper body ergonometers (a bike pedaled with the arms), electrical stimulator, mechanical traction and heat therapy equipment. If you need a referral to a physical therapist or other physician at Doctors Hospital of Laredo, call our free physician referral service at 1-877-992-1711.